The use of Tencent QQ during working hours will strongly affect employees' productivity. It is also an irresponsible attitude towards the job. None employees would be happy to see an employee having happy chats with friends on QQ while working. Surveilstar is important in such cases by providing a precise Tencent QQ monitor. Surveilstar is able to monitor employees' Tencent QQ and record every chat content the QQ user has involved. It helps the improvement on employees' productivity and enables employers rest their hearts when being absent from work. 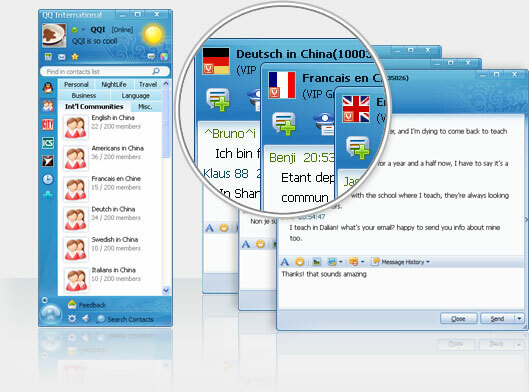 Tencent QQ is a famous instant messaging computer program in China. It is firstly introduced by Chinese engineers in 1999, following the idea and look of ICQ. Unlike the developing path of ICQ, Tencent QQ quickly became the most popular IM tool in China and maintained the competitive edge for years. It successfully developed the user number from 2 to millions in nearly 10 years- this is only in China, not to mention Japan and other countries. Just like other IM tools, Tencent QQ also rise a big problem for companies. Because bosses want to ensure their employees are not using QQ to do non-work related things. So they seek ways in monitor QQ and prevent unnecessary waste of company resource. How to monitor Tencent QQ with Surveilstar? Step1: Download and correctly install the software on the computers. Step 2: Enter the console, choose "Monitoring" button on the monitoring toolbar. Step 3: The content of every Tencent QQ chat will be recorded and you can view it by clicking the item. Participants, time and other details will be listed too. 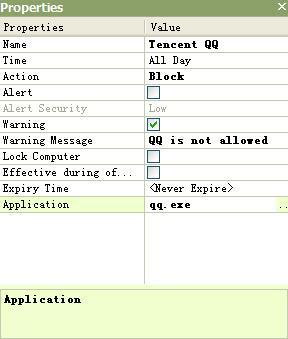 Block Tencent QQ by setting "Application Policy“, the "Properties" at the right bar can enable you to set policy details. Try Surveilstar employee monitor to start your employees' Tencent QQ monitor now!